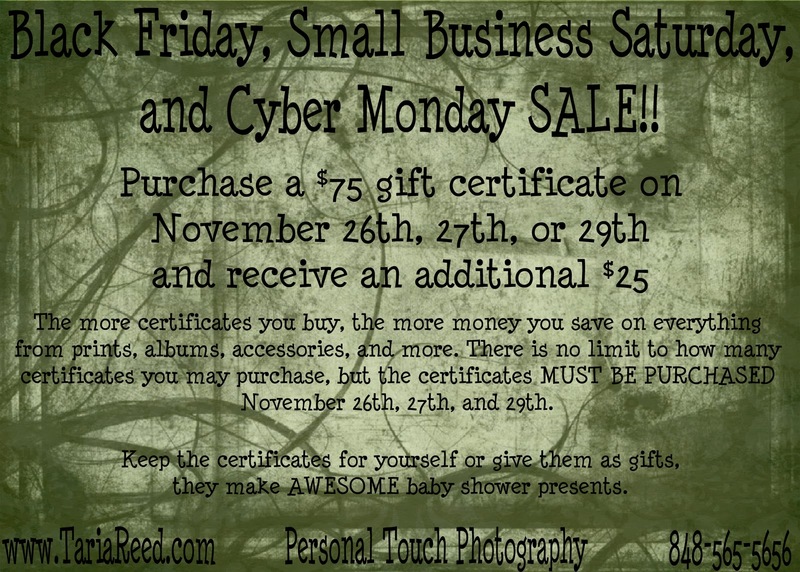 Taria Reed Photography: Gift Certificate Sale!! I'm having a bit of trouble with my paypal button. 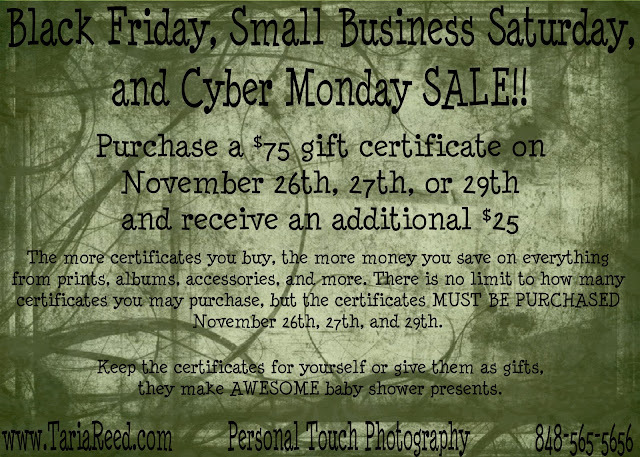 So if you'd like to purchase a gift certificate (or two) please send me an email and I'll send you an invoice.